The Jaguar is a recognizable symbol and the pride and joy of quality British products. William Lyons and William Walmsley originally founded their company in the year 1922 naming it The Swallow Sidecar Company. The founders were avid motorcycle fans and originally manufactured sidecars for motorcycles. In 1935, the Jaguar SS 2 ½-litre was first released, but it looks very different from the quintessential Jaguar people are most familiar with today. The company really rose to fame with the production of their sports cars, which were produced between 1948 and 1975. The Jaguar represents class and sophistication. Many celebrities and royals over the years have been spotted in this elegant vehicle. Yet, even with its high profile owners and reputation for reliability, the Jaguar can succumb to problems every now and again. One common problem is a malfunction coolant reservoir. The coolant reservoir is an important system to the proper function of many vehicles. The coolant system is located in the engine bay, where the reservoir holds the coolant for the process of running your engine. It is a pressurized system that helps regulate the temperature of the engine. There are a few common symptoms that may indicate you are experiencing a malfunctioning coolant reservoir. The most obvious is an overheated engine, which is also an extremely serious issue and should be addressed immediately. If your coolant system is not working properly, this might mean an issue with the reservoir itself or the pressurization system. If not functioning properly, it won’t monitor the engine temperature correctly, causing your Jaguar to overheat. 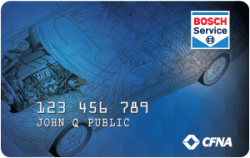 Now, an overheating engine does not always mean that you’re having an issue with the coolant reservoir, so it is wise to take your vehicle to an expert to make sure you have a proper diagnosis. Two other common symptoms go hand-in-hand with one another: leaking coolant and being regularly low on coolant. If the coolant reservoir in your vehicle is damaged, there could be a small leak draining the system of all the coolant. This would mean that you might regularly need to refill the tank with coolant. The reservoir can be damaged from a number of things, but most common would be the aging of the plastic tank, causing it to wear out and crack. It could also be that the tank has overheated and worn out. Coolant is made from glycol and water, so if there is a minor leak you will notice steam and drops of coolant beneath the location of the reservoir. If the damages are more severe, you may see larger puddles. If you have leaks in the reservoir, you will find yourself frequently having to add more coolant to your car, which can be costly and frustrating. The first sign of a malfunctioning coolant reservoir will be the need to refill the tank with more coolant on a regular basis. It is important to address this problem quickly, or else it could lead to substantial damage to your engine that may be expensive to repair. If you’re unsure if you have a coolant malfunction, it is recommended to visit an expert who will be able to diagnosis the problem. The Jaguar is a delicate system that takes a solid understanding in order to maintain excellent performance. That is why staying up to date on services needed is an important task. Even though it is rare, a coolant malfunction could be a result of a radiator issue; however, this is uncommon with Jaguars. If it is a simple leak in the reservoir, you will need to purchase a proper replacement tank and install it. If you do not feel comfortable doing this on your own, a trained mechanic will be able to do it for you. 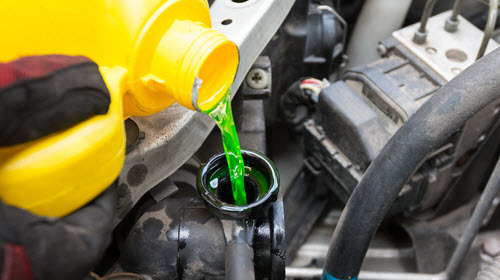 Here at Glenwood Foreign Cars, we have expert mechanics to help you identify the cause of your coolant issues. Convenient to Upper Makefield Township, Yardley, Newton, and Morrisville, PA, we are able to provide you with the diagnosis and service to make sure your Jaguar is running smoothly. With over 40 years of service, we have long-standing relationships with our customers and aim to provide quality service. If you would like to schedule an appointment or learn more about other services offered, feel free to give us a call.